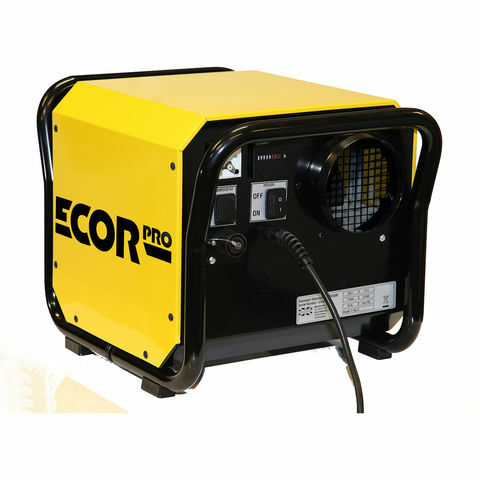 The Ecor Pro DH2500 is an industrial dehumidifier ideal for use in both indoor and outdoor applications such as in crawl spaces, lofts, garages and warehouses. 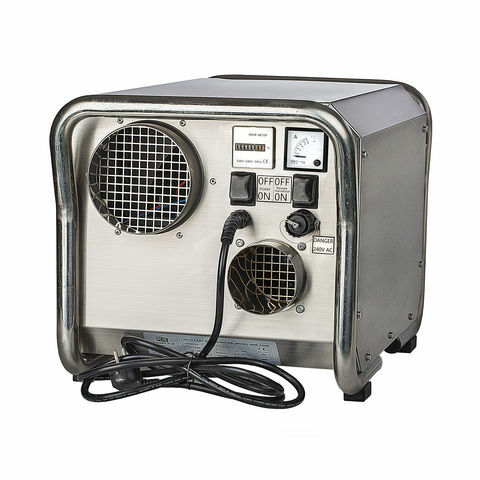 Featuring a compact all metal design, this unit runs quiet and can be used continuously at temperatures as low as -20°C, with its compact size also allowing the DH2500 desiccant dehumidifier to be easily carried by one person.The DH2500 uses a three-hole system, with wet air being separately vented out via an 80mm outlet – this means there’s no tank to empty for minimal maintenance. Warm dry air can either be expelled back into the room or ducted to another space.Several DH2500 desiccant dehumidifiers can be transported at the same time in a small van or car, without the fear of water leaks after of residual water in the tank. 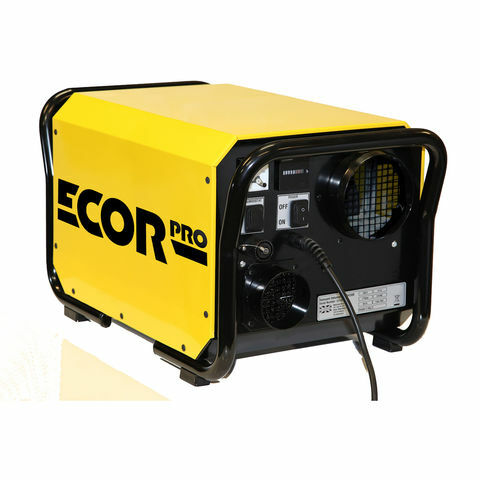 The Ecor Pro DH2500 desiccant building dryer is a great choice for hire companies, building firms or people in need to protect the environment of an area, with a robust and reliable product. Perfect to dry out new builds where it will extract up to 34 litres per day, the DH2500 is both capable and durable.